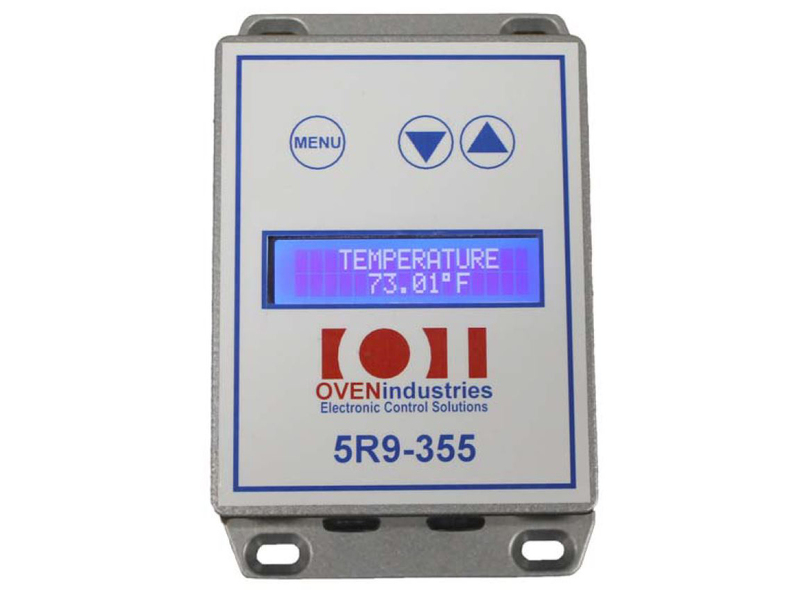 The 5R9-355 is a complete mechanical enclosure temperature controller with mounting holes, user friendly keypad menu selections and a vivid LCD display. Functionally this product offers temperature resolution of 0.01°C and control stability of ± 0.1°C. The 5R9-355 is specifically designed with a proportional integral control algorithm to provide the most precise control to thermoelectric (Peltier effect) modules at a very economical price. The controller can be setup for heat or cool and can perform ramp & soak profiles. TTL to USB communication via optional OI-TTL-Cable. Setup and Monitor control through included GUI & DLL. Load Current: 0.1 to 15 A per channel, total current 18 A max.